Heel pain can be treated. Get back on your feet! Suffering from foot, ankle or heel pain? 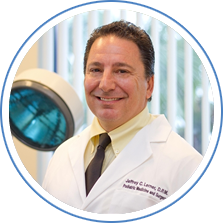 Providing quality foot and ankle services to the Wellington, FL area, podiatrist Jeffrey Lerner, DPM of Palm Beach Podiatric Center understands the importance of receiving comprehensive podiatric care in an honest and comfortable environment. Our practice promises to provide patients with affordable and attentive one-on-one treatment using state-of-the-art technology and the latest techniques. At Palm Beach Podiatric Center, non-surgical alternatives are always considered first. If surgery is ultimately required, Dr. Lerner is skilled and knowledgeable in performing both adult and pediatric surgery for the bone, joints, and nerves. Other podiatric conditions we treat include heel pain, ingrown toenails, skin disorders, and more. Do You Wanna Be a Podiatrist?